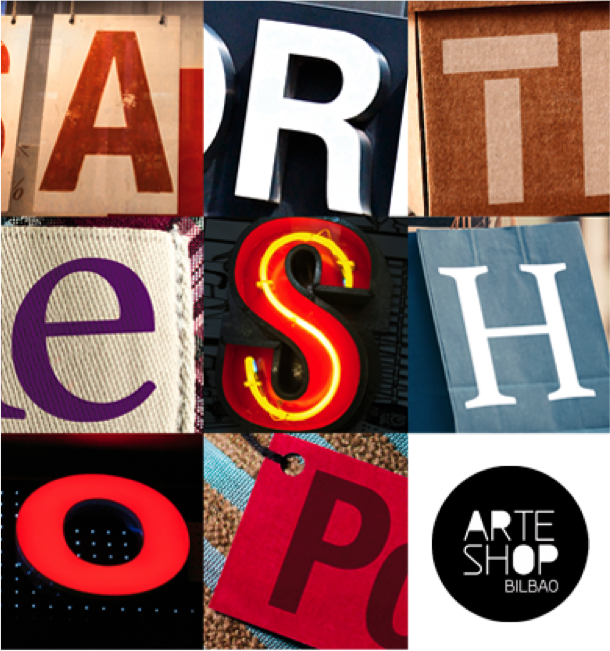 The City Council of Bilbao, through the public entity Bilbao Ekintza, and in collaboration with the University of the Basque Country (UPV / EHU) and the Bilbao Arte Foundation will held the eighth edition of ARTESHOP BILBAO in June 2018. ARTESHOP BILBAO takes advantage of the synergy between commercial and artistic activity, fostering creative capacity in the shops, creating an unusual space for artistic expression and improving the shopping experience. With this objective, students of the Faculty of Fine Arts of the University of the Basque Country exhibit their own art works made expressly for the commercial establishments of the city that participate in the project.